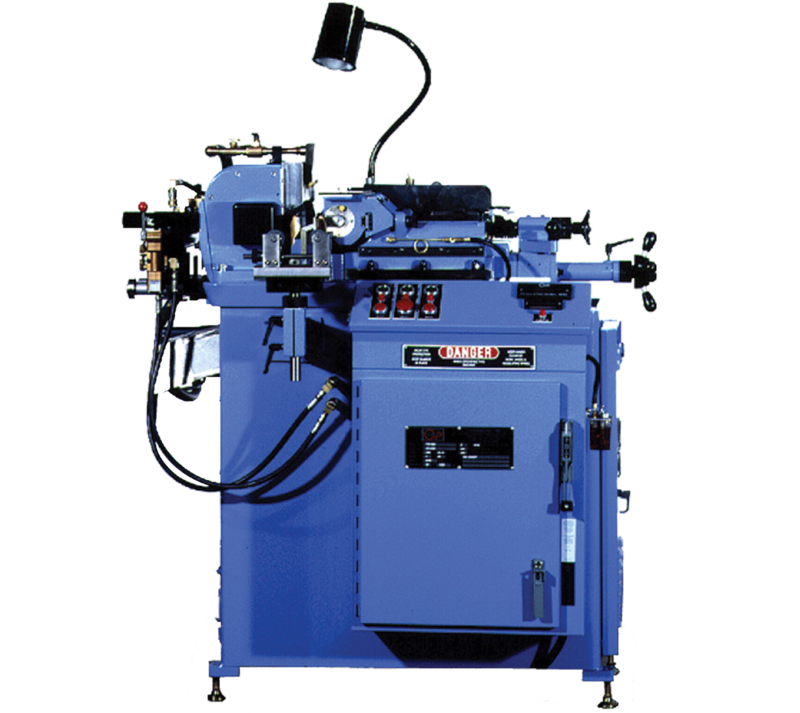 Traditional guidewire centerless grinders use sensors to detect the wire position and trigger diameter changes, limiting the number of tapers the system can produce. Since the GT-9AC has no sensors, there is virtually no limit to the number of tapers, and creating parabolic shapes is very easy. 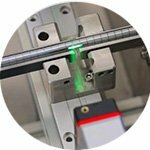 Traditionally, sensors or sensing systems must be physically moved by the operator or technician to change the profile or wire length. The GT-9AC accomplishes all of this automatically with a few taps of the touchscreen, significantly reducing setup time. 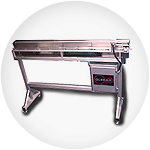 With a centerless grinder, as the slide retracts and part diameter increases, the rate of the part through the machine increases. With fixed sensors, there is no feedback in between sensor points to detect this change. This causes an unwanted non-linear or 'bowed' profile shape. The GT-9AC updates wire position constantly, so it is unaffected by changes to the wire feed rate. The result is crisp, clear tapers. 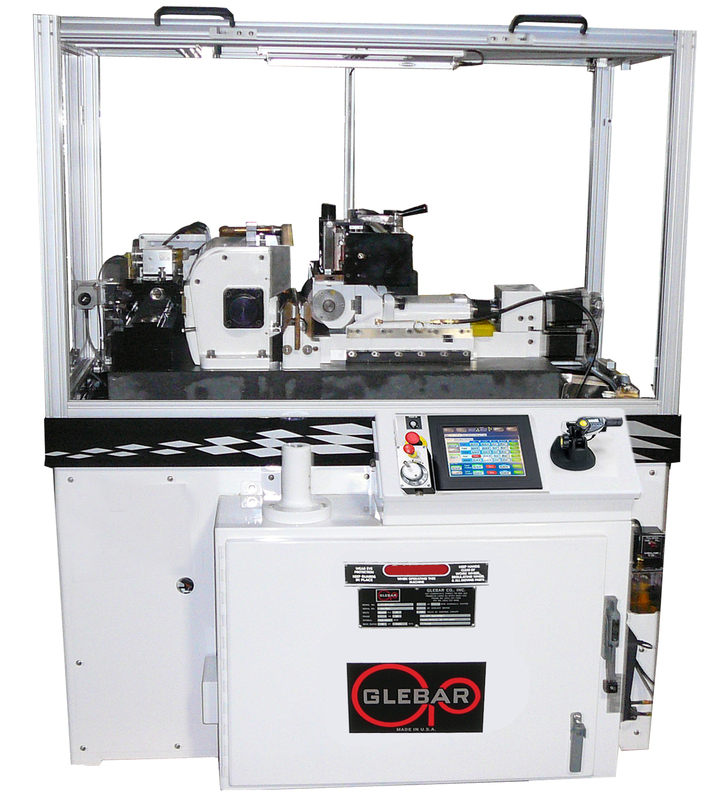 Glebar has over four decades of experience grinding guidewires in stainless steel, Nitinol, and other materials, with both conventional and superabrasive wheels. 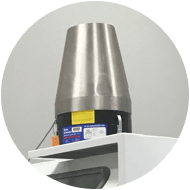 The GT-9AC excels at precision grinding medical guidewires with multiple tapers, paddles, and even parabolic shapes, all at the fast speeds of a conventional centerless grinder. 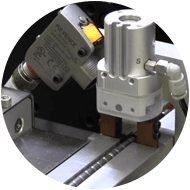 Using the latest in high speed imaging technology and a 1 micron encoder the whole length of the feeder, the machine can update the position of the wire every 0.00025" (0.006 mm) at typical grinding speeds. 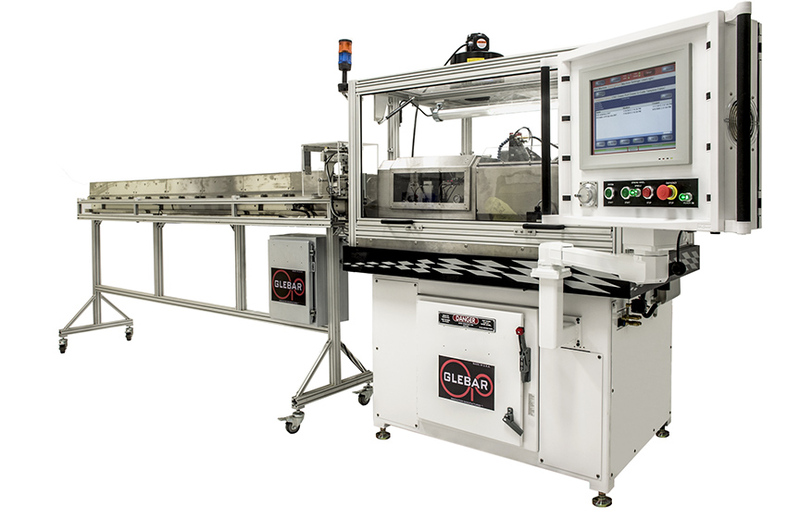 Faster position updates result in better length accuracy and repeatability, allowing the GT-9AC to easily hold the tighter tolerances required by today's guidewires. The GT-9AC has no fixed sensors or sensing banks! 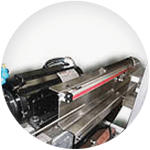 Changing wire length or wire profile is easy and takes only seconds.The maximum length of grind is limited only by the overall length of the feeding system. Things that were simply not possible before, like changing the speed of the regulating mid-profile, are accomplished effortlessly. The GT-9AC has no fixed sensors or sensing banks! 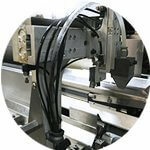 Changing wire length or wire profile is easy and takes only seconds. 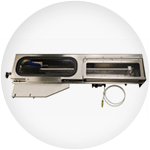 With the increased rigidity, thermal and mechanical stability of a granite bed, the results are improved blade life and more consistent setups. 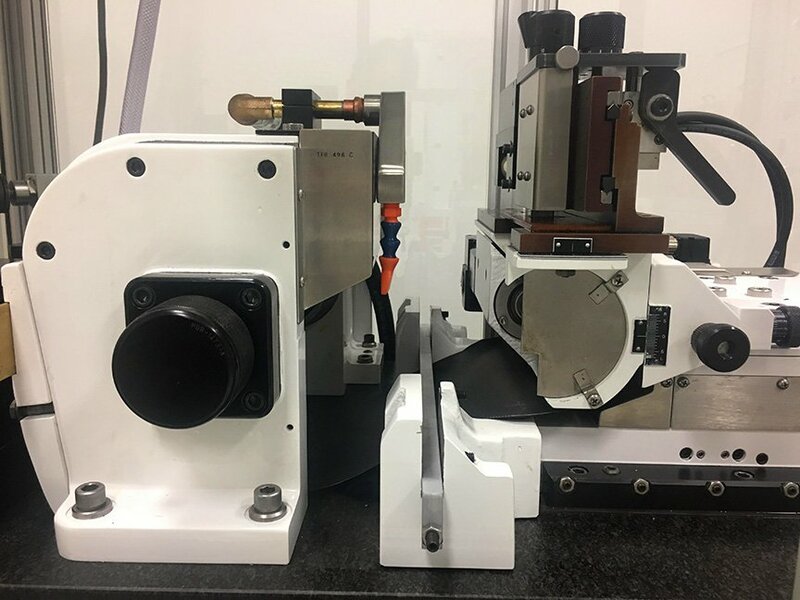 Both the upper and lowers slides of the GT-9AC feature 0.1 um glass scale feedback, which allows for blades to be sized automatically on the machine; easy and repeatable. 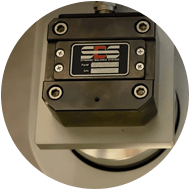 Since the GT-9AC has no sensors, there is virtually no limit to the number of tapers, paddles and parabolic shapes which can be ground on this machine. 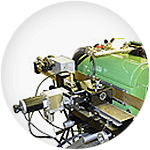 Traditionally, sensors or sensing systems must be physically moved by the operator or technician to change the profile or wire length. With the GT-9AC, all of this is accomplished automatically with a few taps of the touchscreen, significantly reducing setup time. 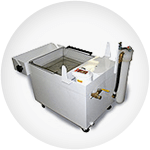 Available with a variable frequency drive on the work wheel spindle for increased wheel surface feet when running super abrasives such as vitrified CBN. 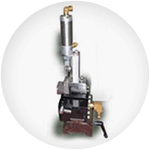 Spindle RPM can be varied depending on the wheel type and wheel dressing parameters. A built-in automatic wheel balancing system dynamically adjusts and eliminates wheel vibration, producing superior surface finishes and improved wheel life. 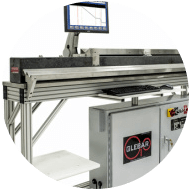 In addition, acoustic emission sensing allows for automatic touch-off and blade sizing to drastically reduce setup time. 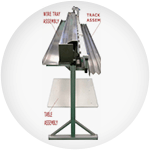 Double-ended grinds or grinding multiple parts from the same wire is possible when using the optional Extractor. 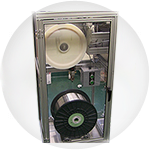 When combined with the Spool Cutter, it is possible to take NiTi or SLT® stainless directly from spool to finished part. Clean and contained mist-free work envelope. Work rest blade holder with built in ramp for simple height adjustment. Secure remote troubleshooting and support available over the internet. This is done by using EtherCAT® by and large the fastest industrial Ethernet technology. Grinding Diameter Capacity : .045"
Machine Weight : 3520 lbs. 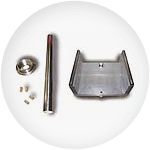 Minimum Wire Diameter : 0.0015"
Maximum Wire Diameter : 0.045"
Tooling : 1.5" (38mm) and 3" (76mm) wide tooling. 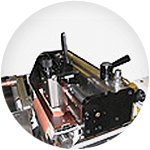 Existing tooling from the TF-9DHD, TF-9CPG, and TF-9BHD can be used. 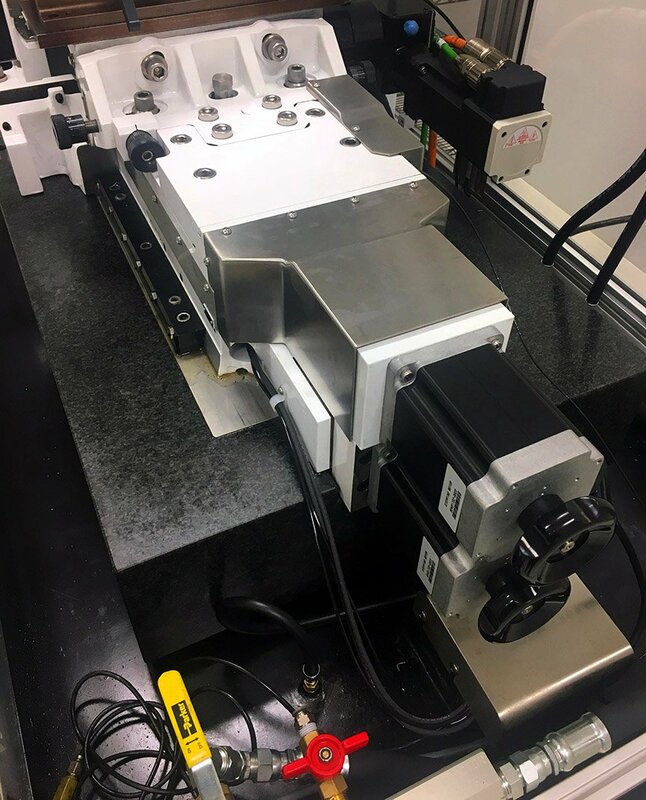 High-speed with programmable positioning, allowing for the fast grinding of double-ended grinds and faster part extraction, reducing cycle time. 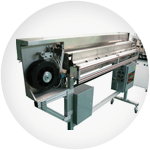 10' (305 cm), 16' (500 cm) long wire/part loader and unloader interfaced to the machine control. Feeder will pick wires out of a bin, load them into machine, stage next part during grinding and unload finish part allowing hands-off machine operation. Uses bushings for a burr free cut. 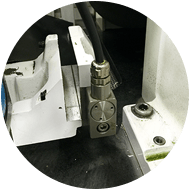 Cutting wire after grinding provides the capability of grinding multiple short parts out of one long wire in one feeding operation, reducing cycle time. Pulls finished part out of grind zone using gripper mechanism and places it in receiving tray. 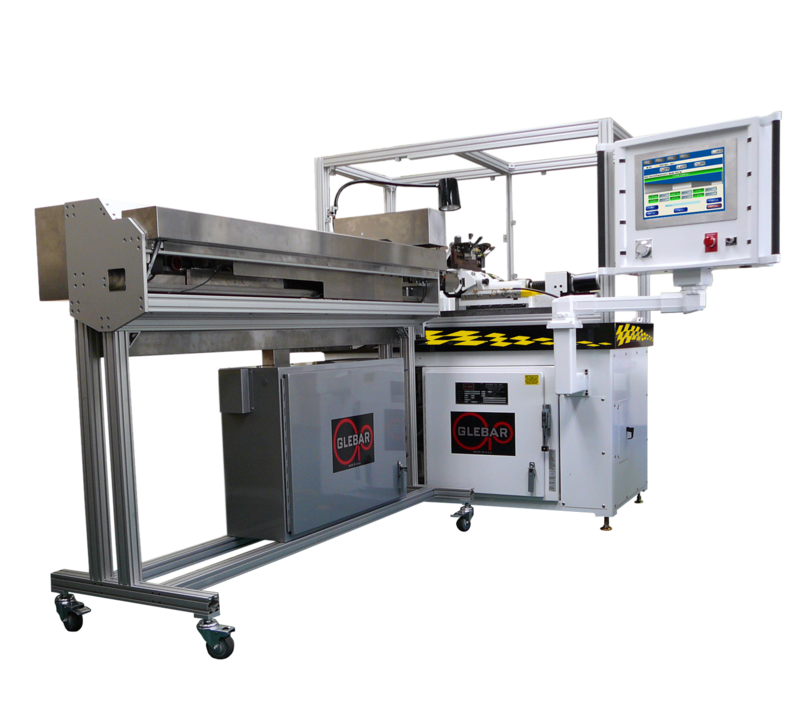 This system is ideal for handling short parts and often used in conjunction with the Wire Cutter. 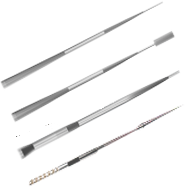 Designed to draw and cut Nitinol and SLT material.